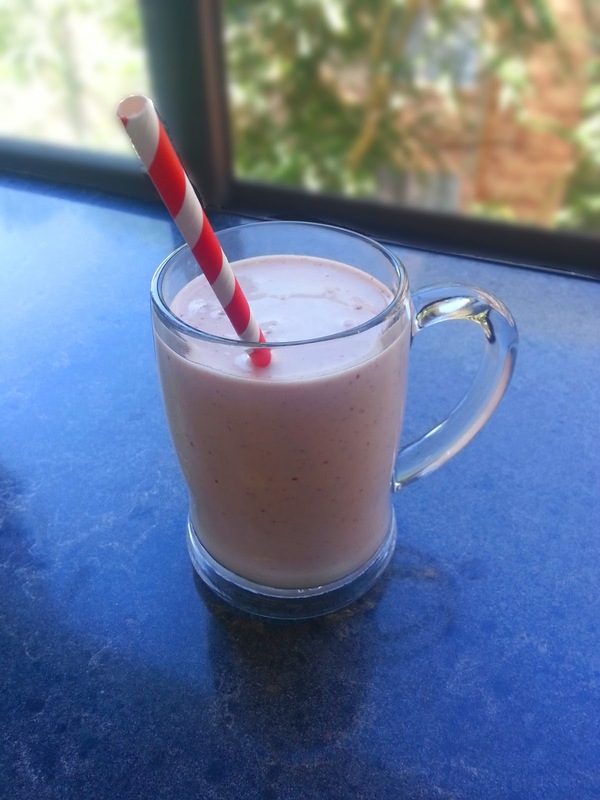 Strawberry and Apple Smoothie – Strawbapple! Despite my current romance with smoothies, I didn’t used to like fruit very much. As a kid I only ate apples. I was generally picky, but struggled with the texture of most fruit. I loved the flavour of a peach, but its squishy texture was offputting. Pineapple is yum but stringy. Oranges are messy. Yes – I was a weird kid. But as an adult I learnt that blitzing them together means that you get to enjoy all of the yum flavours with a nice smooth texture (no down side!) and this became my default way to enjoy fruit. Prior to smoothies, the one other tasty fruit option I discovered in my early adulthood was these little punnets of pureed apple and strawberry. The flavour combo just works. Its so good. Given that, how could I not try it in smoothie form? Adding a banana ensures that it will have the perfect texture. Here’s to delicious breakfasts for the week. This smoothie is so pretty, and on top of that it tastes fresh and enlivening. What a way to start the day. This is great! I'm putting the recipe inside my cupboard door.